Note : For 14 years old and above. 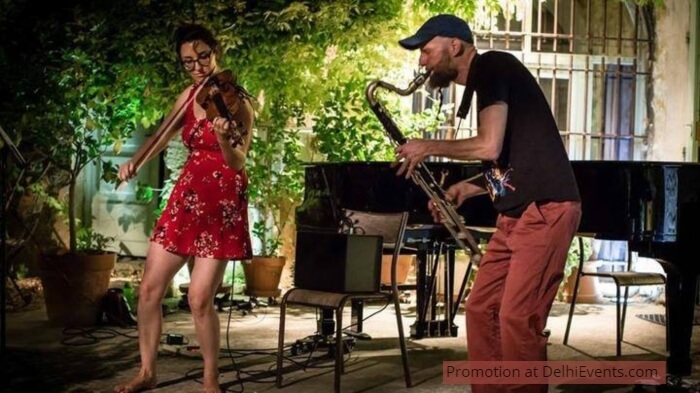 Event Description : MUSIC "Krond-Flast"
Regula Schwab's violin and Lucien Dubuis' bass clarinet come together to create Baroque Jazz tunes peppered with undertones of contemporary swiss music. This duo "Krond-Flast" bring their experience in improvisation and cinematic soundscapes to weave a visually stimulating sound experience that is vibrant, comforting and playful.